1963. 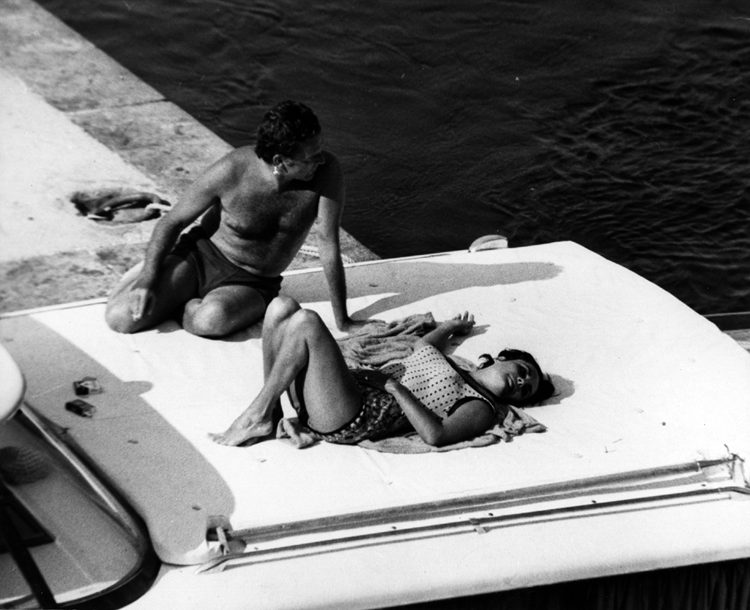 Love rats Richard Burton and Elizabeth frolic on the deck of a yacht off the coast of Ischia. One of a series of shots that blows the lid off the affair on which the pair have embarked while filming Cleopatra. There have been rumours but this is the first real proof. Outrage and mega ticket sales for the movie follow. The photo is also notable as an early example of the paparazzi using zoom lens SLR cameras, a recent innovation to the sector. Photo by Marcello Geppetti.